Welcome to your taking up space meditation. Take a moment to surrender to where you are right now. Make space in your physical surroundings to relax and get comfortable. Really, truly comfortable. Tune into what your body needs in this moment. Slowly start to release the chords that have been connected to you today, drawing in all parts of you to here and now. Switching off distractions and committing to yourself. Begin to create a space just for you. Notice areas in your body that are feeling full, spaces in your mind that have become cluttered by your day to day chatter. As you become more and more devoted to the softness of your relaxation here and now you recognise a lightness coming to these spaces, as if you have allowed whatever is taking up the most space to gently drift away. You decide here and now that you can allow them to take up space somewhere else for now, as in this moment they are no longer needed. You feel a sense of expansiveness and light wash over your body, an opening up wash through your mind. You remind yourself that anything you truly need will be there for you when you finish this meditation and that everything is working in your favour. Begin to take deep, rhythmic, expansive breaths. Gently expanding through your ribs and opening your belly. Feel your body flooded with more fresh space and allow the capacity of your being to expand with each new inhalation. Keep with a rhythm that is unique to you rolling in and out of your body, freeing up space in your mind. As you exhale slowly, perhaps with a sigh, you sense yourself letting go of any remaining tension. Softness, surrender and spaciousness now nurtures you deeper into comfort and calm. You are here and now. As you relax into a natural breathing pattern that is unique to you, you notice the space of your heart, it’s beat, its rhythm. You imagine her in your upper chest radiating a pulse that cleanses your space with each beat. Now imagine the intelligence of your natural state of healing, with each breath your body and mind feels more supported, more revitalized, more calm. As you become deeply connected with the beating of your heart you recognise that it is always within you and you can come back to this calming, soothing pulse at any moment of the day. You feel at ease, supported and expansive. You are safe and held in the centre of your heart space. Take another moment to luxuriate here, rest, focus, surrender. You sense a new found stillness here, a fresh feeling of peace. It has always been here, for you, inside of you and now you have devoted yourself to remember who you truly are. With your eyes gently closed, your heart-centered and soft you begin to expand your awareness. Your consciousness desires to move and you guide yourself to find a new space, to explore space while your body rests and heals here in surrender and relaxation. You become aware of moving outside of your body, moving beyond the room you are in, relaxed and peaceful you drift upwards, floating, ascending. You imagine yourself feeling fully supported and safe to rise up through the clouds, through the outer perimeters of mother earth, slowly and gently flowing into spaciousness. You move up and through more layers, safely and softly reaching higher through other planes and celestial realms until you see it, your star, the star from which you were once created, the star that holds all of your wisdom and the wisdom of your ancestors. As you draw near to it’s brilliance you notice that you can land softly on it as if it where a golden cloud. Looking around you sense a warm glow that engulfs you in a sense of confidence, of clarity. You feel curious and supported to shine. You turn to face yourself in a reflective mirror and marvel at the imagine looking back at you. You soften even more and recognise the feeling of being in your truth, this is your higher self, in this space you can do, say and be who you truly are. You remember that you can also do, say and be who you truly are at any moment of the day, in any area of your life. Your higher self is always with you and this reunion gives you a new sense of joy. You begin to look around you and take in the warm glow of your celestial space. It is your paradise, you feel the warmth on your skin, a gentle breeze blowing through your hair, a soft support under your feet. You notice a gentle rhythmic song playing in the distance and how it is sweetly in time with the beat of your heart. You feel comfortable and relaxed now because this reminds you that you are always supported to shine, you are always guided by your own star and you can be who you truly need to be in any space. You are home now and you know you can take this feeling with you anywhere you go. You recognise how easy it is for you to take up space, for you to move through space with courage. You allow this feeling to flow through you. You start to recognise that this radiance that you feel inside of you, this confidence and shine is expanding. Like a brilliant light its glow starts to grow, the DNA that resides in each of your cells hums a vibration and that vibration carries out beyond your physical body. You give this vibration a color. This color is unique to you, it symbolises your truth, your light, your place in this world. You watch and feel as this color glows out of your body, this color that you have chosen to respresent you and who you are in your truth. As you witness this color, this essence of you, start to magnify and pulsate from you, you notice that it begins to take up space all around you, this colorful extension of you moves more boldy and blissfully into all of the space around you as if it is looking to connect with all of the universe. This expansive, pulsating feeling of your own growth and your own connection to all of the universe sends a sweet shiver through your body. The rhythmic music that you heard in the distance grows slightly louder and you watch as the colour of your true self and the color of the music come together and form one dance. You are reminded that there is no separation and what you see in yourself is what you see in others, this strengthens the brightness of your color and illuminates the colour of the music. You are one. you are at peace. You are taking up space compassionately and in cocreation with all of the universe, with all beings and energy around you. You recognise the warmth this brings you, the surrender to your own brilliance and how it will always be met by the brilliance surround you. You remember that by shining your true colours, your brightest being you are inviting others to do the same, you are inviting the abundance of the universe to do the same. You smile knowing that this incredible experience will stay with you for eternity and in all parts of your life. In perfection synergy the music starts to become part of you, its color moves through you as a reminder that everything you desire that is outside of you is also now within you. You thank the music, you thank the colours and you surrender once again to relaxation noticing that you are peacefully resting on a soft, comfortable patch of your star. You are completely relaxed and completely attuned to the healing that is automatically happening within your body and your mind. You soften as you feel the in and out of your breath synchronise with the sounds of the breeze around you, the pulse of your heart synchs with the pulse of the atmosphere around you. you feel connected, you feel supported, you feel deeply healed. This feeling is harmony. You begin to remember that you have always been in flow with life, that you have always felt this connection between your breath, your heart beat and everything around you. You know you are home and you can always return. Laying back and relaxing into this sensation you feel an even greater warmth rising in you. A warmth that is familiar to you, that you can always source. It is loving energy, you feel it wash over you and all through you. Healing you. Filling you with joy. So pure and so strong it makes space in your heart and as it fills you up it reminds you that you are loved and you are love. You feel a new sense of readiness in your soul. A new connection to who you are and how you want to take up space. You feel the blockages moving, the struggles dissolving, this energy of love, space, connection is moving freely through you and all around you, guiding you, supporting you. Before preparing to come back down to earth you notice a box sitting in front of you. The lid of this box is open you are invited you to leave anything behind that you no longer need. You feel yourself gently and with ease placing old stories into the box, old emotions, they fit into that space effortlessly and leave you without struggle, what is no longer needed flows freely out of you and into the box. You gently offer up any pain or trapped energy. As the lid closes you feel a wave of warmth take up space in your body, you notice fresh new energy has taken over and you are ready to return to earth with everything you need to stay connected, creative and energised, you will return with the confidence to take up space in your unique style. As you gradually and safely start to make your way back down you float off your star and slowly, slowly drift down through the layers of celestial energy feeling the healing that has occurred and continues to work magic inside of you. You feel in perfect balance, in perfect harmony as you gently float back down to earth, landing calmly and easily into your body, back into the room you are in here and now. You remember the profound experiences that you had on your star, the colours, the music and the image of your higher self, you realise that your higher self was not another being it is you, all of you and you are never separated. 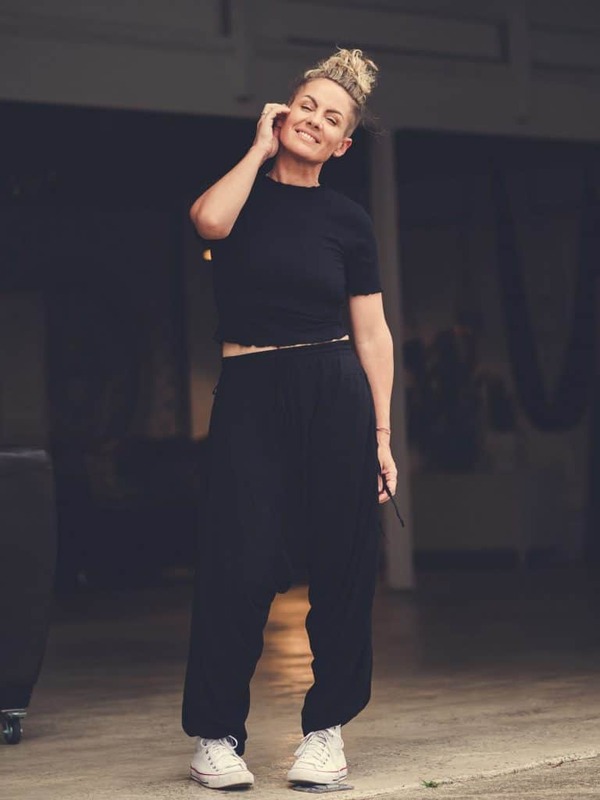 As you come back to your natural breathing and feel completely and totally reconnected with your body and spirit here and now in this room you know that you have all the space you need to be all of you in your fullest truth. And so it is. 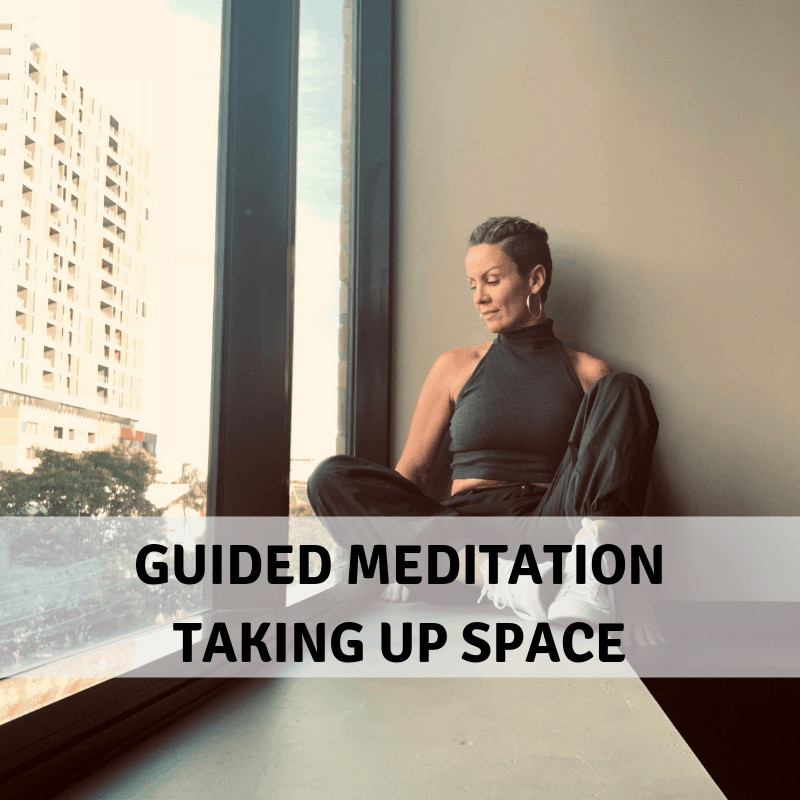 As you begin to come out of this meditation and slowly come back into the room you are supported to move through space and time with all of the tools you need to be everything you desire. May everything you need or something even better greet you on your path. And so it is done.